The American Diabetes Association (ADA) recently updated their guideline for the treatment of patients with diabetes. Two forms of intensive insulin therapy are available; namely multiple daily injection (MDI) versus pump therapy. However, a randomised trial in type 1 diabetic (T1DM) patients with nocturnal hypoglycaemia, did show that sensor-augmented insulin pump therapy, with a threshold suspend feature, reduce nocturnal hypoglycaemia, without increasing glycated haemoglobin values. The Diabetes Control and Complications Trial (DCCT) showed that intensive insulin therapy (three or more injections per day of insulin) or continuous subcutaneous insulin infusion (CSII) is key to improved glycaemia control and outcomes. The ADA noted that since the DCCT, a number of rapid-acting and long-acting insulin analogs have been developed that are associated with less hypoglycaemia in T1DM, while matching the HBA1c lowering of human insulins. Use MDI injections (three to four injections per day of basal and prandial insulin) or CSII therapy. Match prandial insulin to carbohydrate intake, premeal blood glucose, and anticipated physical activity. For most patients (especially those at an elevated risk of hypoglycaemia), use insulin analogs. A recent joint investigation by the ADA and European Association for the Study of Diabetes evaluated the advantages and disadvantages of antihyperglycaemic agents for patients with type 2 diabetes (T2DM). Before initiating pharmacological therapy, most patients should be started on lifestyle changes e.g. The safety and efficacy of dual therapy with metformin alone have also been shown in a number of studies. If the HBA1c target is not achieved after about three months, a combination of metformin and either sulfonylurea, thiazolidinedione, dipeptidyl peptidase-4 inhibitor (DPP-4 inhibitors), glucagon-like peptide-1 receptor agonists (GLP-1) or basal insulin can be added. Rapid-acting secretagogues (meglitinides) may be used instead of sulfonylureas in patients with irregular meal schedules or who develop late postprandial hypoglycaemia on a sulfonylurea. Dual combination should be considered as initial therapy in patients with an HBA1c level of 9% to achieve the target HBA1c level. Patients should be provided with an algorithm for self-titration of insulin doses based on self-monitoring of blood glucose (SMBG). Alternatively, add up the total current insulin dose and then providing one-half of this amount as basal and one-half as mealtime insulin. National Institute for Clinical Excellence (2000) Guidance on rosiglitazone for type 2 diabetes mellitus. American Association Of Clinical Endocrinologists - MISSION: The American Association of Clinical Endocrinologists is a professional community of physicians specializing in endocrinology, diabetes, and metabolism . American Association Of Clinical Endocrinologists – AACE - The American Association of Clinical Endocrinologists The Voice of Clinical Endocrinology ® Founded in 1991 (904) 353-7878 (904) 353-8185. American Association Of Clinical Endocrinologists’ 2016 - JACKSONVILLE, Fla.--(BUSINESS WIRE)--Citing glycemic measurement as an essential component of care for all patients with diabetes, the American Association of . American Association Of Clinical Endocrinologists (AACE) - The 25 th Annual Scientific & Clinical Congress is brought to you by the American Association of Clinical Endocrinologists. American Association Of Clinical Endocrinologists - MEDIA - On February 20th, 2016, the American Association of Clinical Endocinologists convened a diverse cross-section of thought leaders from the diabetes arena to examine . American Association Of Clinical Endocrinologists - American Association of Clinical Endocrinologists' guidelines for management of dyslipidemia and prevention of atherosclerosis.. American Association Of Clinical Endocrinologists Medical - American Association of Clinical Endocrinologists medical guidelines for clinical practice for the diagnosis and treatment of menopause.. Lipid guidelines: 2015 d p mikhailidis bsc msc md fcpp fcp frsph ffpm frcp frcpath academic head dept of clinical biochemistry. 1 recognition signs of severe toxicity: • sudden alteration in mental status, severe agitation or loss of consciousness, with or without tonicclonic convulsions. Category guidelines link to guideline asthma management guidelines national asthma education and prevention program expert panel report 3: guidelines for. 1 recognition signs of severe toxicity: • sudden alteration in mental status, severe agitation or loss of consciousness, with or without tonic-clonic convulsions. Kdoqi commentary kdoqi us commentary on the 2013 kdigo clinical practice guideline for lipid management in ckd mark j. Review from jama — 2014 evidencebased guideline for the management of high blood pressure in adults — report from the panel members appointed to the eighth joint. The guidelines that cover the screening of patients for elevated serum lipid levels, and the treatment of patients with lipid abnormalities, rest on. National lipid association recommendations for patientcentered management of dyslipidemia: part 1 – executive summary?. The national lipid association (nla) recently convened an expert panel on statin safety to examine various aspects of statin therapy and to determine its safety. Above you can read article and ebook that discuss about 2014 Guidelines For Lipid Management. KDOQI Guidelines - Kidney.org - The National Kidney Foundation Kidney Disease Outcomes Quality Initiative (NKF KDOQI)™ has provided evidence-based clinical practice guidelines for all stages of . KDOQI Clinical Practice Guideline For Hemodialysis - The National Kidney Foundation’s Kidney Disease Outcomes Quality Initiative (KDOQI) has provided evidence-based guidelines for all stages of chronic kidney disease . 2014 Evidence-Based Guideline For The Management Of High - Review from JAMA — 2014 Evidence-Based Guideline for the Management of High Blood Pressure in Adults — Report From the Panel Members Appointed to the Eighth Joint . Category Guidelines Link Guideline Clinical - AvMed - Category Guidelines Link to Guideline 2015?2016 Guidelines Clinical Guidelines Practice Guideline for the Treatment of Patients with. Guidelines And The Renal Dietitian - Nephrology News & Issues - Guidelines and the renal dietitian If you are a new renal dietitian, it didn’t take long to discover you are working with a patient population that has multiple . Strategies To Reduce Catheter Use In 2014 - The - Strategies to Reduce Catheter Use in 2014 Timothy A. CANNT Vascular Access Guidelines 2015 - 4 Nursing Recommendations for the Management of Vascular Access in Adult Hemodialysis Patients • 2015 Update List of Figures, Flowcharts and Tables. A recent meta-analysis showed that there were no significant differences in haemoglobin A1c, (HbA1c) or severe hypoglycaemia rates in children and adults using either MDI or pump therapy. Although intensive insulin therapy is associated with improved microvascular outcomes, it is also associated with a high rate of severe hypoglycaemia (62 episodes per 100 patient-years of therapy). This includes taking patient preferences, cost and potential side effects of each class, effects on body weight, comorbidies and hypoglycaemia risk into consideration before initiating pharmacological therapy. Insulin has the advantage of being effective where other agents may not be and should be considered as part of any combination regimen when hyperglycaemia is severe, especially if symptoms are present or any catabolic features (weight loss, ketosis) are in evidence. The progressive nature of T2DM and its therapies should be regularly and objectively explained to patients, advised the ADA. Basal insulin is usually prescribed in conjunction with metformin and possibly one additional noninsulin agent. A less commonly used and more costly alternative to ‘basal–bolus’ therapy with multiple daily injections is CSII. Pflederer, MD Chair, Network 10 MRB (I have no commercial affiliations or conflicts of interest to report). If patients do not achieve or maintain glycaemic goals, metformin monotherapy should be added. If basal insulin has been titrated to an acceptable fasting blood glucose level, but HBA1c remains above target, consider advancing to combination injectable therapy to cover postprandial glucose excursions. Mack Harrell, MD Elected President of the American Association of Clinical Endocrinologists (AACE). This should be done as soon as the diagnosis is confirmed or shortly thereafter – unless there are contraindications or intolerance. Options include adding a GLP-1 receptor agonist or mealtime insulin, consisting of one to three injections of rapid-acting insulin analog (lispro, as part, or glulisine) administered just before eating. According to the ADA, the safety and efficacy of metformin have been shown in a number of studies. Life expectancy in the 370, 000 people with type 1 diabetes mellitus (T1DM) in the UK remains lower than those without diabetes. In addition, it is an inexpensive agent that has also been shown to reduce the risk of cardiovascular events. Find out all about Diabetes UK: what we do, our position on diabetes issues, and how we are governed. The delivery of care is variable, with a substantial north-south divide in England for major lower limb amputations1. 5%) or less1: this is lower than the clinical guideline on type 1 diabetes published in 2014, which recommended an HbA1c target of less than 7. WHO in 2006: definition and diagnosis of diabetes mellitus and intermediate hyperglycaemia. 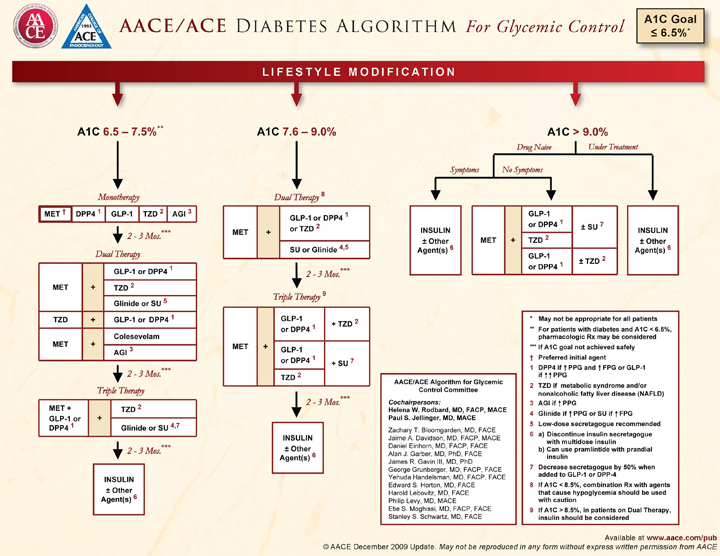 GLP-1 receptor agonists in type 2 diabetes – NICE guidelines versus clinical practice. Cost-utility analysis of liraglutide compared with sulphonylurea or sitaglitpin, all as add-on to metformin monotherapy in type 2 diabetes mellitus. The South African eating regimen. Those who discover it that unbearable you'll with numerous veggies. Having diabetes can result and drained. Higher in sugar and significantly lower in nutrients and fiber than whole ﻿Low. Impact of various diets on well regimen with extra fats and.